Faith Academy is now accepting children in fee-based daycare program (ages 6 weeks to 36 months) and new students in our tuition-based programs for preschool (full or half day). Fees & Tuition vary depending on your family needs. 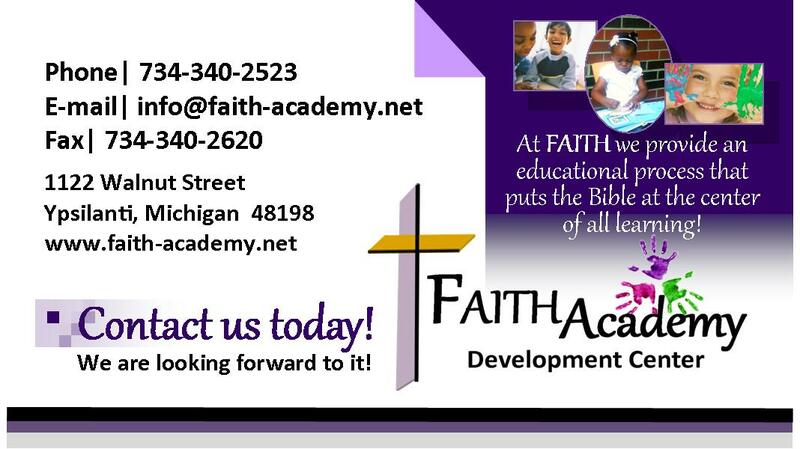 Please contact us to learn more about enrolling the children in your family with FAITH Academy Development Center! Get Updates on the Go! We are a Christian childcare and educational center, where Jesus is the center of all we do! 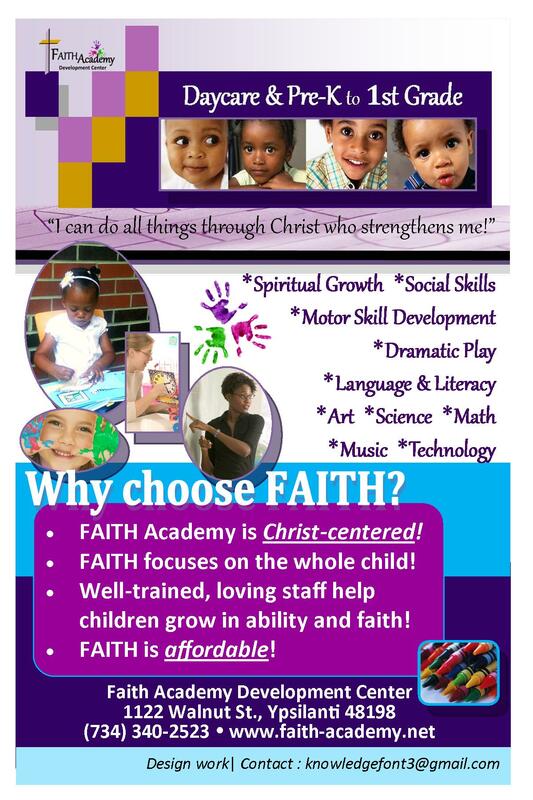 Faith Academy Development Center - "I can do all things through Christ who strengthens me!"